U.S. Seeks To Extradite 3 Ex-Credit Suisse Bankers Accused Of Fraud in Mozambique The three were allegedly at the center of a scheme that loaned $2 billion to Mozambique for sham tuna fishing and naval projects. A Credit Suisse bank branch seen in Geneva. Three former bankers have been arrested in connection with accusations of fraud in Mozambique. The scandal started with surveillance and tuna fishing, and ended with the cratering of Mozambique's credit rating. 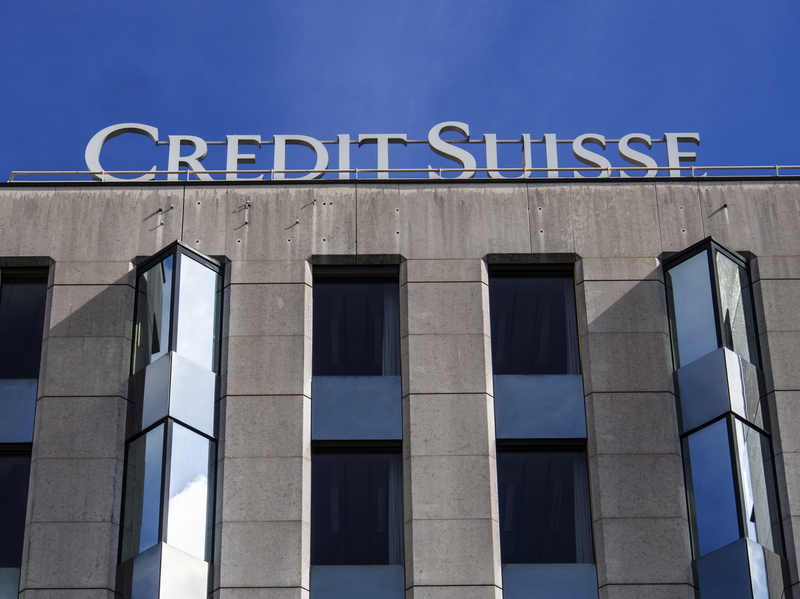 On Thursday, three ex-Credit Suisse Group AG bankers were arrested in London and face possible extradition to the U.S. on charges related to bribery of officials in Mozambique, according to The Wall Street Journal. U.S. Justice Department prosecutors say the bankers, along with the former finance minister of Mozambique and an executive at Privinvest Group, an Abu Dhabi-based holding company, committed fraud connected to some $2 billion in loans to finance fake projects meant to benefit Mozambique, according to court documents filed with the U.S District Court for the Eastern District of New York. Investors, including American companies such as Franklin Templeton Investments and AllianceBernstein Holding L.P., stand to lose money, according to the Journal. Additionally, the court documents alleged that millions of dollars in bribes and kickbacks passed through U.S. bank branches. The bankers are Andrew Pearse of New Zealand, Surjan Singh of the U.K. and Detelina Subeva of Bulgaria, according to the grand jury indictment. The three ex-bankers were arrested in London and released on bail, according to the Journal. The U.S. is seeking their extradition. Privinvest's Jean Boustani, a Lebanese citizen and a negotiator on the deal, was arrested in New York on Wednesday, according to Reuters. Former Finance Minister Manuel Chang was arrested in South Africa in late December, The Associated Press reports. According to the indictment, three companies were formed to execute projects on coastal surveillance, tuna fishing and shipyards. The co-conspirators are accused of ultimately arranging $2 billion in loans. In 2011, Boustani allegedly proposed that Mozambique contract with his company to build a coastal monitoring system. Almost immediately, prosecutors say, Boustani began negotiating bribes and kickbacks with Mozambican officials to grease the wheels and get the project approved. Minister Chang created a special vehicle to take on debt without telling the International Monetary Fund, which provides aid and financing to Mozambique. The three Credit Suisse bankers conspired to arrange the funding while sidestepping the bank's internal controls, according to the indictment. It notes that although the bank asked questions about some of the people involved in the deal, "the compliance department failed to pursue its inquiry further." Prosecutors say the co-conspirators ultimately formed three Mozambican state-owned companies to borrow money and execute the projects. Credit Suisse and another bank not named in the indictment allegedly arranged the loans and sold the debt to investors worldwide, including to U.S. funds. But the projects did not make money; Reuters reported on rusting, idle tuna fishing boats in 2016 as evidence of the dysfunction. These enormous debt guarantees went undetected for more than a year. When the guarantees were discovered, foreign donors bolted and Mozambique sank into a debt crisis, according to the Journal. The indictment says "the defendants created the maritime project as fronts to enrich themselves and intentionally diverted portions of the loan proceeds to pay at least $200 million in bribes and kickbacks to themselves, Mozambican government officials and others." As part of the scheme, the co-conspirators inflated prices for equipment and services, and then kept the profits or used them to pay bribes and kickbacks, according to the indictment. Prosecutors say Pearson received over $45 million in illicit payments, many routed through a bank account in New York City. Singh allegedlyreceived about $4.5 million in bribes and kickbacks, including at least one payment paid through an account in New York. Subeva was paid at least $2.2 million by Pearse, prosecutors say. Credit Suisse says it will cooperate with authorities. "The indictment alleges that the former employees worked to defeat the bank's internal controls, acted out of a motive of personal profit, and sought to hide these activities from the bank," Credit Suisse said in a statement sent to NPR. The indictment echoes another case involving allegations of defrauding a developing country. In November 2018, the U.S. Justice Department brought criminal charges against two ex-Goldman Sachs bankers and a Malaysian investor. NPR's Ashley Westerman reports they were accused of conspiring to launder money siphoned from Malaysia's investment development fund.